Wow ! 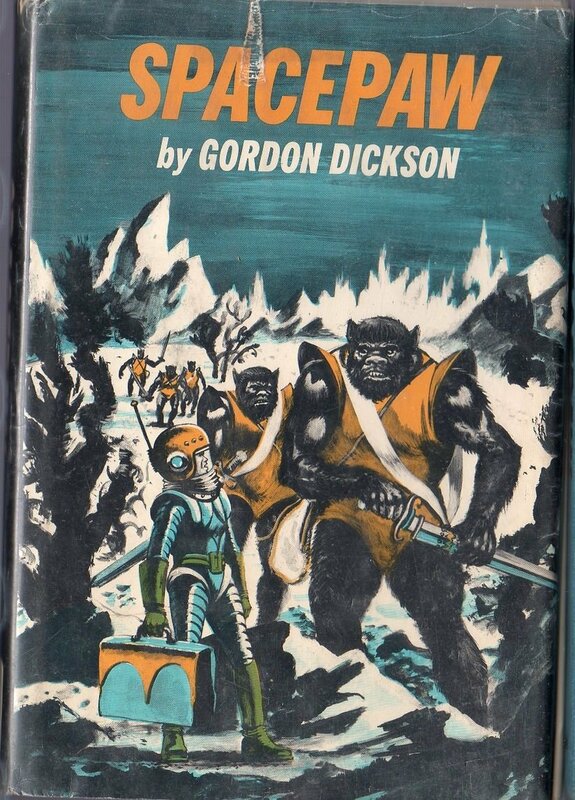 I, a Spaceman travel 30,000 light years and you,my furry friend, are wearing the same shade of orange ! what are the odds ? #1: originally there were supposed to be multiple Bearmen instead of a single Beaver, but Lewis Carroll changed his mind after seeing Henry Holiday’s drafts. 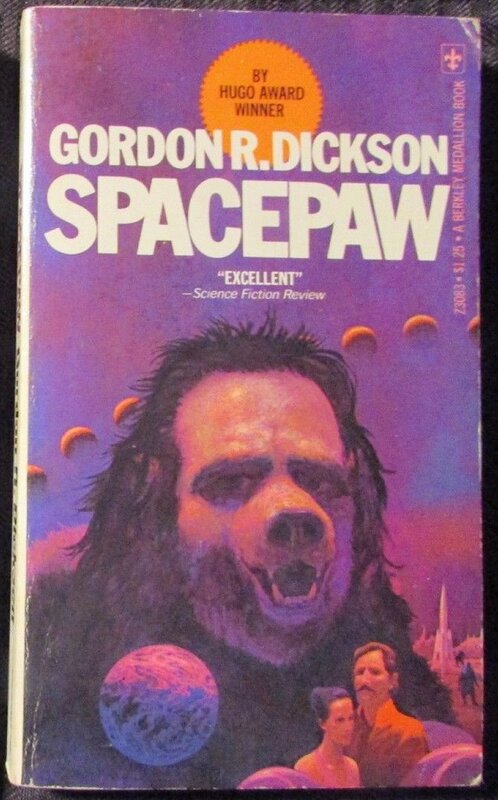 #2: The Bearman has the look of someone who’s just realized that the blurb, meaningless for decades, has just taken on a ridiculous new life thanks to Wayne’s World. 1: Everyone knows Spacemaw wears the trousers round here. #1 Unfortunately the concept of ‘bed and breakfast’ has an entirely different meaning on this planet. #1 Let me help you cut off your sleeves and pant legs so you can dress like a local. #2 Nothing more embarrassing than a middle-aged bear person who grows a mullet to distract from his receding hair line. 2. Win a Hugo, gain a middle initial. @BC – Gordon R. Dickson is outstanding in his class, in fact, in a class by himself. @B’Mancer—I’ll bet he’s also a compelling story teller. So many swords and not a single ting. It’s like they’re not even trying. @Francis – In space no one can hear your Ting! #2 looks like a failed cover concept for a Meatloaf album. 1: Why are the gorilla people wearing orange leotards with Futurama shoulders? Methinks the astronaut is taken aback by this, in particular. 2: Creepy Hobo Dogman, everyone. Avoid at all costs, for he is disgusting and lewd. 2. Here it was just purple filters all the way. #1: Olive drab is the go to color when you need to enliven a cover. Both of those are terrible, just in different ways. I think #2 is worse just for the Spacepaw looking so derp (the tiny people are a bit odd-looking too, like Odo in DS9). 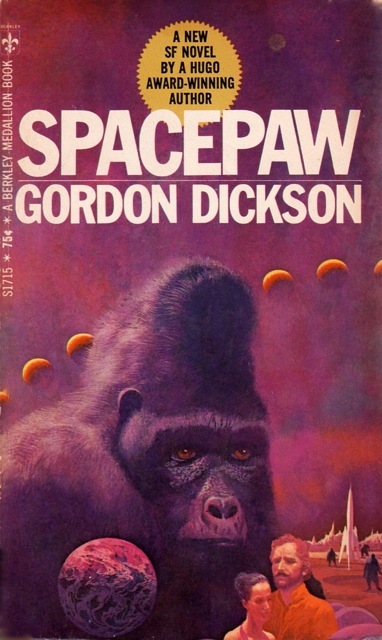 #1 is just dull and apparently the artist didn’t understand that they are in fact bear people, not gorilla people. I can’t believe it’s 1969 — I’d have pegged it as 10 years earlier. As bad as the previous one was, it was better than either of these. and per B’mancer’s suggestion, have left a comment (still in moderation) for the creator of this (obviously a kindred spirit) to join us. She’s got the Bad Fantasy Cover elements PERFECT, including a Mega-Ting! @GSSXN – I also thought #1 cover looked like something from the 50s but a quick check of isfdb.org verifies 1969. What’s funnier is the 1969 paperback cover. @Bibliomancer – And that 2nd printing cover upped the cover price from 75 cents to $1.25. Cover touch-up art doesn’t come cheaply! 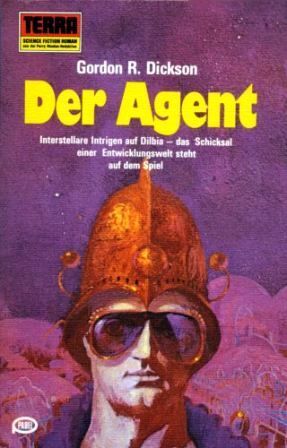 Also funny is the cover for the German edition. @B’mancer: The hasty re-paint explains why Spacebear has such derp and the human faces went all melty. Not worth such a substantial price increase! Maybe they took it to the printer before the paint had dried. New topic: it’s probably good that GSS demands physical books, because e-books are too easy of a target. E.g. this one, which has Font Abuse to a giant degree, also Pecs, and the description above the title (once you can read it) isn’t so much a blurb as a series of keywords jammed together. It’s missing opportunities for Ting! though. Spacebear went on to make a cameo in The Shining. Bear-wielding? Bear wielding two tiny people? Sword-wielding bear? Damn it, you have this one? Sorry for submitting it again. I will note that the purple cover is far purpler than any purple known to modern technology. Digital displays can only hint at it. …Meatloaf in a bear mask?